are already T - E - N months old!!! The months have honestly slid by filled with days of happy smiles, poopy diapers, doctor's appointments and constant sleepless nights. On a usual night for me, until this week, I was waking up about five times a night with baby boy N while baby girl A snoozed away. However, we've finally had a string of nights that I've gotten at least four hours of uninterrupted sleep. Baby girl rings in at the top of the chats weighing about 20 lbs. with everything hitting in the 95th percentile or above. Baby boy weighs about a pound less and hovers more between the 25 - 50th percentiles. He struggles more with breathing issues when he gets a cold and we've landed in the hospital twice because of this. However, overall they are both healthy and growing like weeds! They are so cute! Happy 10 months! I hope little N starts giving you some better sleep. Five wakenings a night? I would be dead by now. Teacher. Military Wife. Daughter. Sister. Friend. Infertile. Now Mother. I use to spend my days warping young minds as a teacher. However, three IVFs and one super fabulous donor later, I found myself knocked up by another man. Now, I'm a mom staying at home with baby E, working online, and loving life in Alaska. Now, we are on the journey for baby #2 via embryo donation from IVFlygirl and her family. Jan/Feb '09 - IVF#3 with DE BFP!!! August '10 - Admitted to hospital at 4 cm dilated. Rescue cerclage. Oct '10 - Baby E born at 35 weeks. Healthy. March '12 - selected as recipient for embryo donation! September '13 - FET #3 - success! October '13 - We're having twins! January '14 - We're having a boy and a girl! 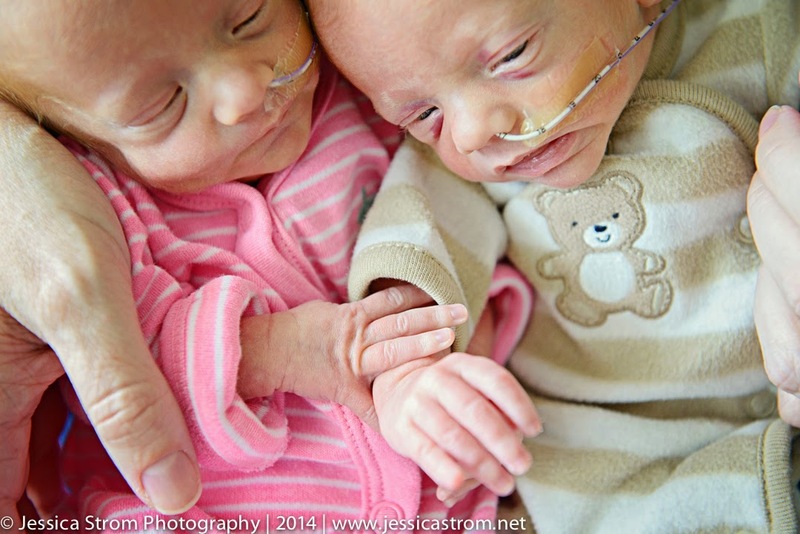 Late May '14 - Twins came home. All pictures and text are for the personal use of this website and may not be used for any commercial purposes!